King George III (1738-1820) of Great Britain was a monarch of the Hanover dynasty. Known as Mad King George, he ruled the British Empire during the French and Indian War (also called the Seven Years' War) and the American Revolution, and at the time of the 1800 Acts of Union (the union of Great Britain and Ireland which resulted in the United Kingdom). Infamous for his part in the American Revolution as well as for fits of mental instability, his reign was a key moment in the British shift of power from the monarchy to an elected Parliament. George III was unusual among English kings of the time by having actually been born in England! He had fifteen children with his wife, Charlotte of Mechlenburg-Strelitz, making sure that his royal line would continue. Yet all was not well with this large family, as the King disapproved of many of the royal marriages. This disapproval resulted in the Royal Marriages Act of 1772, which decreed that any member of the royal family would need the Crown's approval to marry. George III was not shy of trumpeting his own proposals, and his early years as king were marked by his close involvement with the British government. Wishing to wield all of the political power he believed the constitution gave to him, for the first twenty years of his reign he worked on policies, reviewed others' bills, and appointed officials and ministers, building a power base for himself. However, a good portion of Parliament grew tired and annoyed with this. Feeling that the Crown should interfere less with the political parties, the Whig Charles Fox became a leading figure calling for reform. This "reform" would in fact be accidentally introduced by the King himself, when his appointments of the powerful Lord North and later William Pitt the Younger shifted power from the monarch to the Prime Minister. George III's illness late in life cemented this transition into making the monarch the modern figurehead rather than the actual leader of the British government. This trend continued after him, as the Kings and Queens came to represent rather than rule Britain. Political power is now firmly consolidated with Parliament and the Prime Minister, with minimum royal interference (if any at all). From his succession in 1760, George III found himself in the tense position of presiding over a state with an increasingly desperate need for funds. The British Empire was a powerful force in the 18th century, leading the way in the Age of Empire. However, the continuous wars, the financial necessities of maintaining the biggest naval force in the world, and monetary support for the failing East India Company took their toll. These issues were brought to the forefront with the costly French and Indian War. George III's own difficulties in keeping a hold on his power wavered with unpopular appointments of prime ministers, such as the Earl of Bute. Parliament became estranged from the King, and George III replaced Bute with a series of Prime Ministers, eventually settling on Lord North in 1770. North's initial success was derailed by the American Revolution, beginning in 1775. While George III is commonly highlighted as the major British leader during the American Revolution, he actually had relatively little to do with the conflict. The controversial taxes levied upon the colonies were done by the Parliament, and even though the King signed off on these and clearly opposed independence, his political influence on the conflict was tenuous. But that did not stop major forces in Parliament from challenging his leadership. This was all brought to a crisis when the British public began to take note of how much money was being spent on quelling this "minor" revolution. Still, the war continued through 1781 partly because George III wanted to use America as an example against revolt in Britain's other colonies. However, when the war ended in a victory for the former colonies, the conflict instead became a rallying point for the King's opponents. 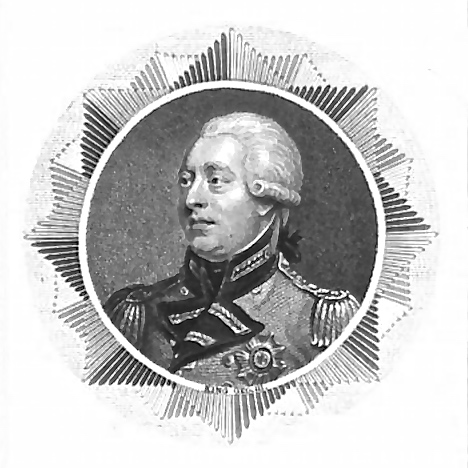 Lord North had to resign after losing a vote of no confidence in Parliament in 1782. He joined forces with his former political rival Charles Fox, of the Whig Party, in the following year. Still, this loss to the newly formed United States did not fatally hit the British monarchy. One could even argue that it revitalized it. Though the Whig Party and the new North-Fox Coalition opposed the King, many of the British people remained supportive—mostly due to sympathy for war with France, which was championed by George III. Indeed, with the American colonists revolting and with France on the brink of civil and class warfare, many Englishmen felt patriotic rather than despondent. For though their country was in debt, their monarchy and the ancient traditions intertwined with it remained a vibrant institution and a rallying point. The North-Fox Coalition was relatively short-lived, for continued dispute over the East India Company cued yet another shift in power within Parliament. This also saw North-Fox being switched out by George III for William Pitt the Younger. Though the King and Pitt worked well together for some issues, they stringently disagreed over giving Catholics civil rights, with Pitt in favor and George III against; Pitt resigned under pressure in 1801. The reign of King George III saw the Acts of Union merge Ireland with Great Britain, in 1801. Great Britain already consisted of England (with Wales) and Scotland; this new union formed the United Kingdom. Towards the end of his life, George III suffered from periods of mental illness. Some have speculated that this was caused by a disease called porphyria. He became incapacitated from this several times, including a ten-year period from 1810 until his death in 1820. In 1811, his son George IV became Prince Regent, meaning that he ruled in place of the King, since the King was ill; in 1820, the Prince Regent ascended the throne as King George IV. Learn about the geography, of the United Kingdom of Britain and Northern Ireland. Read about George Washington, the first President of the United States. Washington was also the Commander-in-Chief of the Continental Army, which defeated the British in the American Revolutionary War. The French and Indian War (1754-1763) was a seven-year-long war between Britain and France (France was allied with Native Americans). Read this history of Magna Carta—the famous English document which limited the power of the King, declaring that he was not above the law.